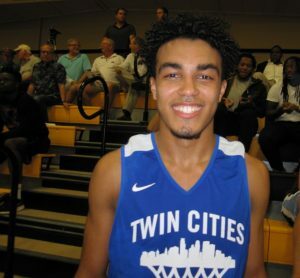 The image of a distraught Tre Jones weeping after Duke’s loss to Michigan State last Sunday will long stay in the minds of those who care about the former Apple Valley All-State and prep All-American point guard. The 68-67 loss to the Spartans in the NCAA Tournament crushed the hopes of Tre and his Duke teammates to earn their way to Minneapolis for this weekend’s Final Four and possibly win the national championship. Tre had a dream of coming home and playing in front of so many Minnesotans who had followed his high school career. He also carried the burden of being a key leader on a team representing a blueblood program, but there was even more contributing to his grief in seeing the Duke season end before he wanted. 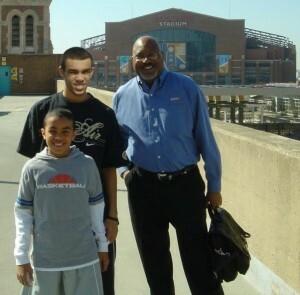 In 2010, when Tyus was in the eighth grade and Tre in the fourth, Al took the boys to Indianapolis to see the Final Four. He knew even then the two Jones youngsters were “basketball fanatics,” and so he asked their parents (Debbie and Rob Jones) for permission to head for Indy where he also had business as a Jostens executive. In the days leading up to the Final Four, Jostens had a booth at the convention facility in Indianapolis that attracted potential customers for its celebration products. Al encouraged the Jones boys not to hang around the booth but instead wander the facility to see what was going on. They found a shooting contest and Tyus won uniforms for his Apple Valley team back home in Minnesota. The fact he won the contest probably didn’t surprise some college coaches in attendance for the Final Four. Even though Tyus wasn’t even in high school, he was already being followed by major college programs and was recognized in Indianapolis by the likes of Michigan State coach Tom Izzo. After Duke won the 2010 national title, Al told one of his regional managers who called on Duke to tell Krzyzewski that he had never given Jostens any business. Al was head of Jostens’ championship division and he wanted Jostens to make Duke’s championship rings. He also had a back-story with Krzyzewski and he asked his regional manager to inform the coach that Al Nuness was his boss. Nuness and Krzyzewski were both honored back in the 1960s as All-Chicago area players by the Chicago Tribune. Coach K’s reaction? He decided to have some fun with this Jostens sales pitch, but so did Al. The coach said Jostens would get no business unless Al came down to North Carolina and visited Duke. While in Durham in 2010, Al told Krzyzewski to remember the name Tyus Jones. Three years later the coach called and asked Al if he would help him recruit Tyus. Al told him no because his loyalties were to his alma mater and also Baylor where son Jared was an assistant coach. A subtle connection with Tre also began at that 2010 meeting between Al and Coach K. Al told his friend that “Tre Jones is a Duke fanatic.” He asked the famous coach to sign Duke memorabilia including a team poster. Then back home Al also gave young Tre a Blue Devils watch that Jostens made. This season was special for the Blue Devils even if they didn’t travel the final road to Minneapolis. Duke’s record was 32-6, playing some of the best teams in the country and reaching the Elite Eight in the NCAA Tournament after spending part of the season ranked No. 1 in the nation. The Blue Devils had a freshmen dominated team including Tre, with three of his first-year teammates projected to be among the top five picks in June’s NBA Draft. As for Tre, he is predicted by some authorities to go later in the first round if he decides to become draft eligible. As the team’s point guard, Tre frequently played long stretches in games—sometimes on the floor for 40 minutes. “He’s as important a player as we have,” Krzyzewski said last Saturday at a NCAA Tournament news conference televised on the Big Ten Network. At that news conference the coach was asked about both Jones brothers who have helped him to so much success including the 2015 NCAA championship when Tyus was named the tournament’s Most Outstanding Player. “They are big time moment players,” Krzyzewski said. Tyus was the better shooter and scorer in college, while Tre, even as a freshman, might have been the most effective on-ball defender in the nation this season. Tre had struggles with his shooting, particularly with three point field goals. He made just 26.2 percent of his three pointers. Overall, he converted 41.4 percent of his field goals, while averaging a fourth best on the team 9.4 points per game. He led the Blue Devils in assists at 5.3 per game. Al offers perspective, though, when discussing Tre’s shooting. He talked about the heavy minutes the teenager played and the enormous pressure to distribute the basketball to highly publicized teammates so they received enough shots. 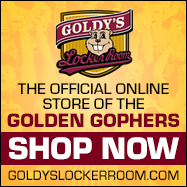 “You gotta remember he is only a freshman, so he is trying to adjust and trying to understand how his body works when he is forced to play 40 minutes a game,” Al said. Tre has for years handled the pressure of being the younger brother of Tyus, who has built on his high school and college storybook career to become a first round NBA draft choice and four-year member of his hometown Minnesota Timberwolves. “…My gosh, has this kid handled the pressure,” Al said. “This kid has done and carved out his own way. Regardless of whatever Tyus has done, Tre has been very good in his own right. By now you know “Uncle Al” is in the corner of the Jones boys, and with good reason. “It’s just been interesting to watch these two kids grow up, and just kind of follow their success,” Al said. 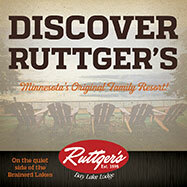 “I cannot be more proud of the two and how the family has embraced them, and really how they turned out.